This week, pot smokers celebrated as the federal government introduced legislation to legalize recreational marijuana use. But for many economically depressed towns and rural areas across Canada, there's much more at stake. They're counting on marijuana production to kickstart an economic turnaround. On Thursday, the federal government introduced legislation to legalize the recreational use of marijuana. There are still plenty of details to be ironed out before the July 1st, 2018 target date for legal pot. But despite the uncertainty, private companies are already preparing to profit from the new industry. And Canada's small towns are lining up to claim their own share of the economic benefits. Many of Canada's rural communities have been hit hard by factory closings and changes in agriculture. 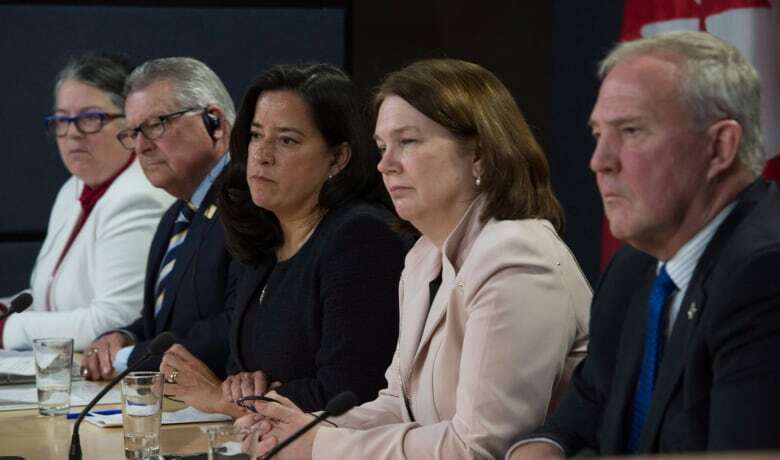 Diane Lebouthillier, Ralph Goodale, Jody Wilson-Raybould, Jane Philpott, Bill Blair after announcing the legalization of marijuana during a news conference in Ottawa. (Adrian Wyld/Canadian Press) Some of them see medical and recreational marijuana as a way to kickstart a badly-needed economic revival. 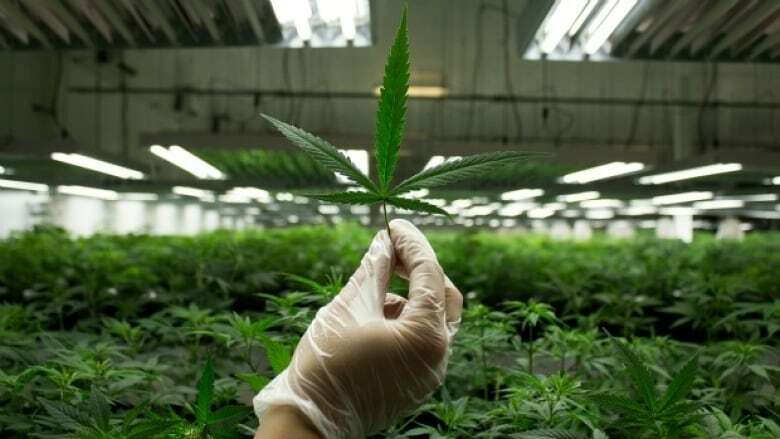 In Kincardine, south along the western coast of the Bruce Peninsula, an abandoned and deteriorating greenhouse has been converted from growing tomatoes to growing marijuana. 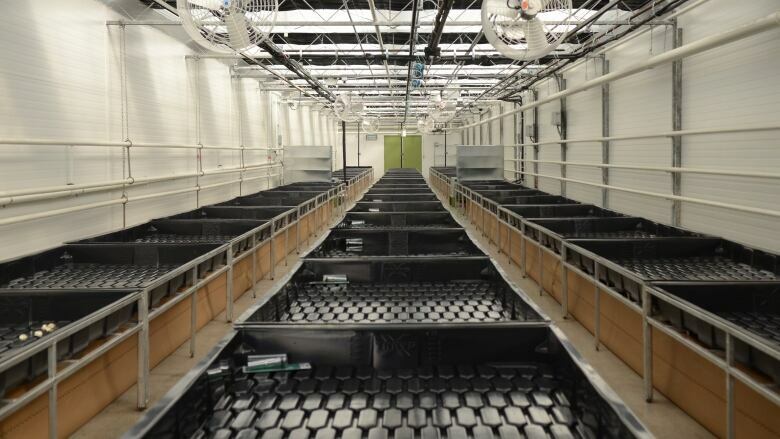 The facility, which is called "7 Acres," now covers seven acres of land in an industrial park. Murray Clarke is Kincardine's Chief Administrative Officer. He says the decision to welcome the operation into their community was uncontroversial and saw very little opposition, although there were a few jokes. "Our fire chief said that if they do ever get a call at the facility, we should order the pizza at the same time." Mayor of Atholville, New Brunswick, Michel Soucy. (CBC) The town of Atholville in northern New Brunswick had a textile mill that closed in 2009. That building has now been purchased by a medical marijuana company called International Herbs. The mayor of Atholville, Michel Soucy, says the current plan is for the plant to begin production in June. 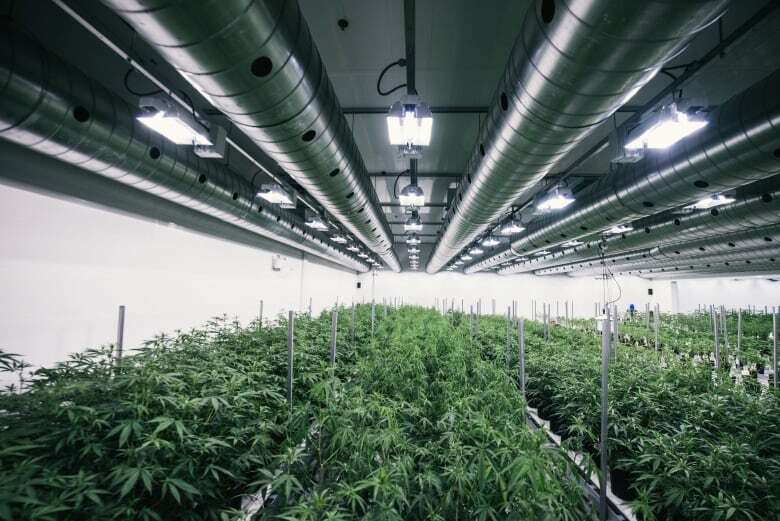 In Alberta, Milk River is just in the beginning phase of bringing marijuana production into their town. The company has found a plot of land, and while the operation will likely only bring around 15 full-time jobs, Mayor David Hawco says the impact will be significant for the town of 900 people. "It doesn't take a lot of people to run the facility, but it does have a huge impact on our town. It has a larger impact on a smaller community than it would on a large municipality." Soucy also hopes the unemployment rate in small towns like his may be appealing for producers looking for a home. "When you look at the employment rate in the area, you can see that there are people available to work." 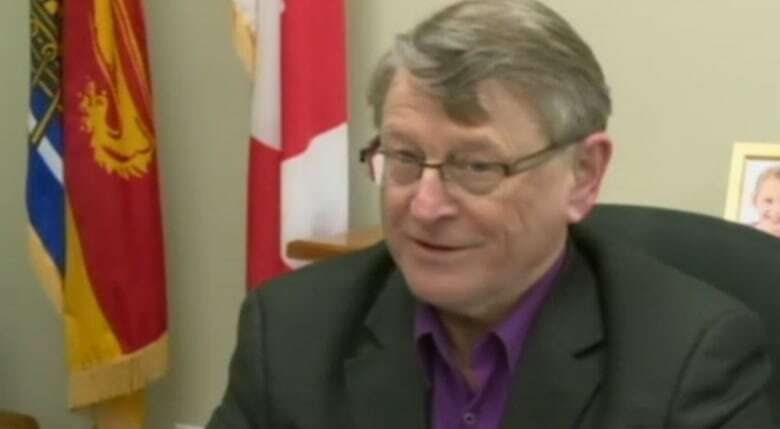 Clarke says that he is amazed by how the attitudes towards pot have changed over his lifetime. "I think there is actually a sense of community pride in having the 7 Acres group here. It's a very interesting time for people of my vintage." To hear more from Murray Clarke, Michel Soucy and David Hawco, download our podcast or click the 'Listen' button at the top of this page. Why are so many Canadian veterans turning to pot?